Chris Wickham (1981). 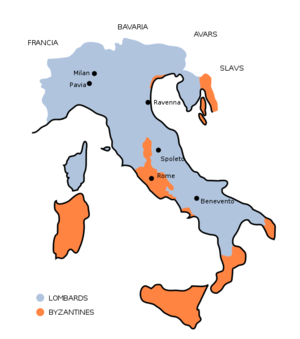 Early Medieval Italy: Central Power and Local Society, 400–1000. MacMillan Press. Paolo Delogu. Longobardi e Bizantini in Storia d'Italia, Torino, UTET, 1980. ISBN 88-02-03510-5.